Soyuz capsule carrying the Sochi 2014 Olympic torch has returned to Earth after it was taken on its first spacewalk as part of the Russian lead-up to the Winter Games. The Olympic torch landed in central Kazakhstan after leaving the International Space Station (ISS). Three astronauts delivered it back after a three-and-a-half hour descent. The torch was taken up to the ISS on Thursday and then waved outside the space station. Russian cosmonauts Oleg Kotov and Sergei Ryazansky posed for photographs as they held the torch 260 miles above Earth. The Olympic torch has been carried into space twice before – in 1996 and 2000 – but it had never previously left a spaceship. The torch was unlit inside the ISS because of safety concerns and outside due to the lack of oxygen. A different crew – Russia’s Fyodor Yurchikhin, NASA US astronaut Karen Nyberg and Italian Luca Parmitano – bought it back to Earth, landing on the Kazakh steppes shortly before 08:50 on Monday. The capsule descended to the ground under a parachute. Fyodor Yurchikhin, the mission commander, was carried from the capsule to a reclining chair and covered with blanket against the cold. 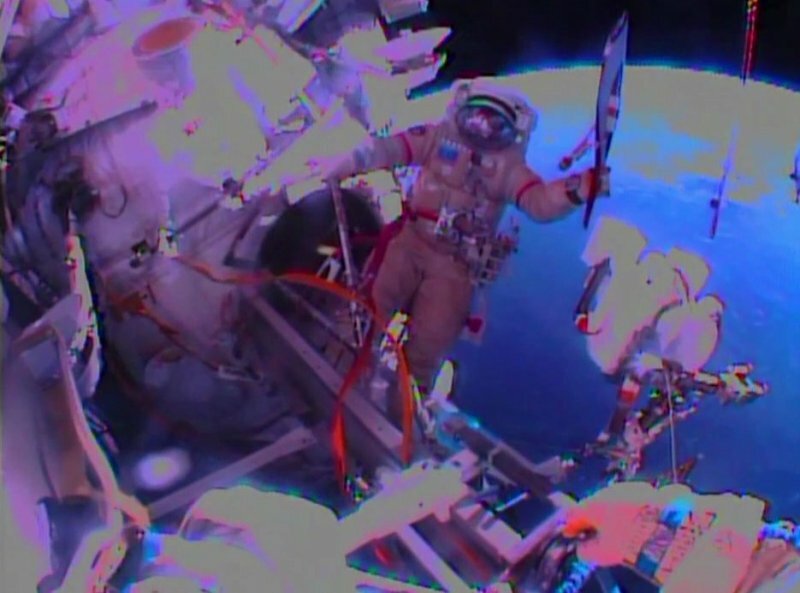 The torch was removed from a protective bag and given to Fyodor Yurchikhin, who waved it and smiled for the cameras. The capsule completed a perfect descent and touched down exactly on time, according to a NASA TV commentator. It will to be used to light the Olympic cauldron at the winter games in February next year. The trip to the space station is all part of elaborate preparations for Russia’s first Olympics since the Soviet era. It was seen as part of a rebranding exercise by Russia designed to portray it as a strong, modern country. Sochi Winter Games are the most expensive Olympics so far, costing around $50 billion (1,620 billion roubles).